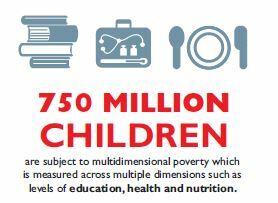 A new report from Save the Children, Child poverty: What drives it and what it means to children across the world, (pdf) looks at the situation of children living in poverty across the world. It shines a light on the drivers of child poverty and explores why it persists, even in some very wealthy locations. 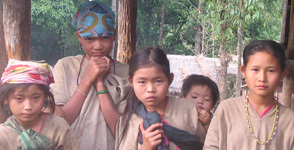 The report also gives a voice to children who are living in poverty. They are our best guides to understanding the urgency of this challenge. The report is part of a concerted effort by Save the Children, together with partners in the Global Coalition to End Child Poverty (of which OPHI is a member), to ensure that the poorest children across the world receive the attention that they deserve. While there are great differences between societies, it is clear that fundamental similarities exist in the drivers and experiences of child poverty. The same is true of the essential solutions. One of the key messages of the report is that child poverty can and must be measured by both income and multidimensional measurements. While household income measures of child poverty provide an easy and meaningful way to understand monetary poverty, this approach assumes that household income is equitably distributed and that the ways in which they ‘live’ poverty can be well understood within this monetary parameter. A multidimensional measurement approach incorporates multiple dimensions of poverty (such as levels of education, health and nutrition) and encompasses deprivations across a number of important domains. Therefore, measuring child poverty by both an income and a multidimensional approach provides a more accurate and holistic understanding, and makes it easier to formulate and implement appropriate and targeted responses.